My father, Alphonse, received a very modest education in Quebec, Canada, where the agrarian Catholic culture dictated large families. Children were expected early on to contribute to the economic well being of the family unit. My siblings and I owe our work ethic to our father’s prodding and adherence to that Canadian culture. My mother, Maria, also from French-speaking Canada, was fortunate to have received a high school education, and with great pride and sacrifice was intent on her children getting a proper education. Both parents migrated separately to Massachusetts in the early 1920’s, where prospects for employment seemed bright. They met, courted and married in South Bridge, Massachusetts. I was born in Springfield, Massachusetts, on May 13, 1930, third of five children. I attended French-speaking Catholic grade school and was held back in the third grade because of poor reading skills. It was only when my son in his teens was diagnosed with dyslexia that I learned that I suffered from severe dyslexia; the flipside to that disability was a focus on memory development and a talent to speak extemporaneously. My two older brothers and I worked with our father from our early teens in house painting and general construction/rehabilitation business. During the same period, I became interested in civic affairs and worked on numerous local and state political campaigns. Because of my mother’s influence within the family, I was able to attend Assumption Prep,a boarding high school in Worcester, Massachusetts. I attended my freshman year at Assumption College by working full-time doing janitorial work and caddying at a local golf course,. For my sophomore year,I attended American International College in Springfield, living at home while working full-time as a clerk for Buxton, Inc. In 1951, I enlisted in the United States Army (1951–54) serving as Adjutant in the Communications Intelligence Service in Germany and as a Special Agent in the Counter Intelligence Corps in France. Following military service, I finished my last two years of college at Columbia University’s School ofGeneral Studies in New York City, receiving aBachelor of Science degree in economics. During my junior year I worked full time as a clerk at Bankers Trust on Wall Street. During my senior year I worked as a taxi driver. Many years later I was awarded four honorary degrees in law and public affairs. I went to Alaska in 1956 with the dream of running for public office. Immediately after my arrival I started to work in real estate sales, which gave me the discretionary time to planmy run for office. My first winter was difficult because of the decline in property sales, so I took a job working as a brakeman on the Alaska Railroad. In the spring I became a broker and opened my own real estate office. In 1958 I first ran for the Alaska Territorial Legislature and lost. In 1959 I ran for the Anchorage City Council and again lost. After statehood in 1959, I was elected to the Alaska State House of Representatives, where I served for four year’s (1963–66) and as Speaker of the House (1965–66). I am most proud of greatly expanding Alaska’s educational system, reorganizing the legislature, and bringing political awareness to the Alaska Native community. I ran for the U.S. House of Representatives in 1966 and lost by a close margin in the primary. I then ran for the U.S. Senate in 1968 and won an upset victory in the primary. I went on to win the general election,representing Alaska from 1969 to 1981. Twelve years after my arrival in Alaska –– broke, I was sitting in the United States Senate. I credit my success to hard work and being lucky. My Senate committee assignments included: finance, interior, environment and public works. I chaired subcommittees on buildings and grounds, energy, water resources, and environmental pollution. After losing office in the primary election of 1980, I stayed away from electoral politics, though I followed politics and civic affairs nationally and globally. In 1984 I married my second wife Whitney Stewart – the love of my life. In the same year I incorporated a short-term apartment rental business. As a result of rapid expansion, the business became undercapitalized, and I was forced into personal bankruptcy because I had naively personally signed on for 3% of the corporation’s liability. Subsequently, I collapsed the operations of the company and turned it over to employees who operated the business at a smaller level for the next decade. I went to consulting and began to focus on my true area of interest:political governance. In 1990 I came to the conclusion that the solution to the governance dilemma lay with the People rather than with the government. I immersed myself in constitutional issues related to direct democracy, including studies in American and European historyand the ancient histories of Greece and Rome. Whitney and I moved to California where she became a dean at the Monterey Institute of International Studies and I pursued my quest of direct democracy. In 1992, I incorporated two California non-profit corporations: Direct Democracy and Philadelphia II, both dedicated to the establishment of direct democracy in United States by the enactment the National Citizens Initiative for Democracy (NCID) a legislative package that can be enacted by American voters rather than by government in a manner similar to the process used in 1787-88 that ratified our Constitution and created our federal government. Article VII of the Constitution is the precedent enabling voters to enact NCID without the government. In 2002,I secured financial support to convene a two-and-half- day conference of scholars and experts in Williamsburg, Virginia, to address the theory of direct democracy articulated in the NCID and the legality of its political enactment by a privately held national election. The conference was a great success, however, a pledged sum to cover part of the cost of the conference did not materialize, forcing me to use one of my credit cards to finance the $50,000 shortfall. In the summer of 2002 my health deteriorated precipitously necessitating three operations in course of nine months. Fearful of my passing and leaving Whitney with the burden of the credit cards that were being used to finance the ongoing operations of Direct Democracy, I filed for bankruptcy,affecting only the four credit cards in question. I kept my personal credit card out of the proceedings. In both bankruptcy experiences the filings were not caused by any personal abuse of my credit. In 2006, a close friend and political supporter of direct democracy suggested I run for president, using the celebrity nature of the run to focus voter attention on NCID. After being away from electoral politics for a generation and at 76 years of age I thought the suggestion ludicrous. However, after a few months reflection, I came to the conclusion the suggestion had merit. I filed my candidacy for president as a Democrat in 2006. My conduct and rhetoric in the debates threatened the Democratic Party’s conventional wisdom. I was denied access to the MSNBC debate in September 2007. Since the Democratic Party sanctioned the debates, I tried to protest to the chair of the Democratic Party Howard Dean. He refused to even accept my calls. A friend in India at the time protested my exclusion to General Electric (GE) the corporate owner of NBC and MSNBC. Rather than pass the protest on to the television affiliate, a PR official of GE responded to the email from India, stating that Senator Gravel did not meet their standards to participate in the presidential electoral process. In the course of the debates, I had been very critical ofthe corporate enrichment of the Military Industrial Complex, in which GE is a prominent member. After the labor movement subsequently excluded me from their debate, my political fate was essentially sealed and mainstream media treated me as a nonperson. Not being a sitting Senator left me without leverage. 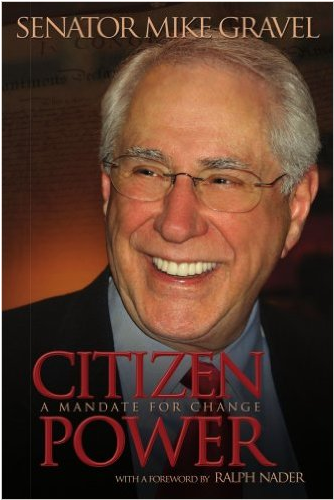 I have authored two books: Jobs and More Jobs and Citizen Power. And I co-authored,with Joe Lauria,A Political Odyssey: The Rise of American Militarism and One Man’s Fight to Stop It;and with Dr. David Eisenbach, The Kingmakers: How the Media Threatens Our Security and Our Democracy. 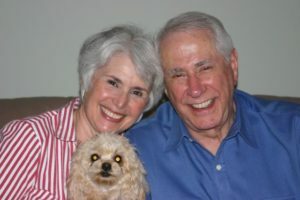 Beacon Press, the publication arm of the Unitarian Universalist Fellowship, published the Pentagon Papers in 1972 as The Senator Gravel Edition of the Pentagon Papers. I lecture and continue to write about governance, foreign affairs, economics and monetary policy. My two older brothers, Lionel Gravel and Bernard Gravel are deceased. I have two younger sisters: Marguerite Gravel and Marie Lombardi. Whitney and I continue to live in Northern California, close to my daughter Lynne Mosier and her two daughters, Madison and Macenzie. My son Martin Gravel and his wife Michele live in Colorado. His grown children Renée, Alex also live in Colorado.